Spend some time playing with your pet around the carrier. Put some treats or food nearby or inside the carrier to encourage a positive experience while re-acquainting with the carrier. Periodically, spray the carrier with a pet speciﬁc pheromone. These pheromones are odours that people can’t smell, but that are clinically proven to be calming for pets. For dogs, use Adaptil. 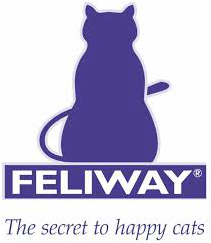 For cats, use Feliway. These are available in advance at our hospital should you wish to purchase these products. 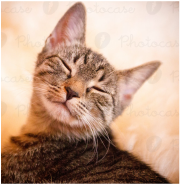 Apply 1 pheromone treatment to the inside of the carrier or bedding 15-20 minutes prior to departure. During transport, cover the top of the carrier with a towel leaving 1 or 2 sides open should your pet wish to look outward. Upon arrival at our hospital, we will make every effort possible to see you on time, and in a calm, welcoming environment for you and your pet. If you feel that your pet may need additional assistance in the form of either natural calming medications or traditional calming medications for the purpose of travel, please contact us in advance.